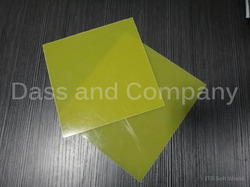 Providing you the best range of glass epoxy sheet, nema fr4 g10 epoxy sheet, fr4 sheet, fr4 yellow epoxy sheet 3240, green epoxy sheets and epoxy fiberglass sheet with effective & timely delivery. In order to meet precise requirements of patrons, we are highly engrossed in offering an exceptional array of Glass Epoxy Sheet in the domestic as well as global market. The offered array is manufactured by making use of best quality basic material and high tech tools in adherence with international quality standards and guidelines. Under the supervision of qualified professionals, we offer the best quality of Nema FR4/ G10 Epoxy Sheet. Available with us in various sizes and thickness, it is known for its resistance against temperature and durability. It is manufactured in accordance to industry laid norms. In our extensive assortment of products, we are also providing our esteemed patrons a supreme quality array of Epoxy Sheet which is fabricated in adherence with international quality standards and norms. Our offered epoxy sheet is highly recommended in the market for their smooth finish and high strength. We manufacture, export, supply and trade a comprehensive range of Yellow Epoxy sheet at a very nominal price. We ensure that the offered product is fabricated with supreme quality raw materials in compliance with international standards. The presented sheet has high strength, heat resistance and can be used in electronic, mechanical and electrical industries. These sheets are developed according to the needs of our clients and have long functional life. 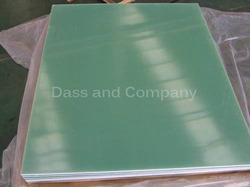 We are engaged in offering a wide range of Epoxy Sheets products. 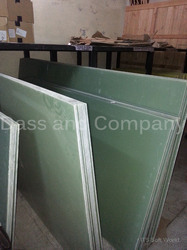 Among these, we offer Green Epoxy Sheets. These are manufactured using high-grade material and are strictly checked for quality by our experts before delivering them to the clients. 99.3 FLAT WIRE COIL. 50MM HIGH TEMP.